Upgrade your pearl game with these striking drop earrings. 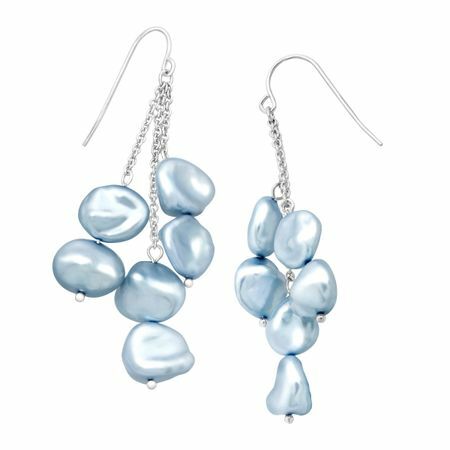 Honora sky blue keshi freshwater pearls line cable chains crafted in sterling silver. Pieces measure 2 1/4 by 1/2 inches.